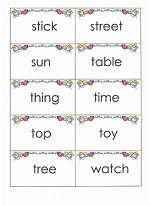 Free printable flashcards are a great way to introduce your child to the Dolch sight words and nouns. 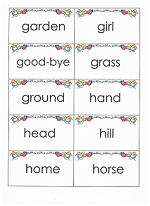 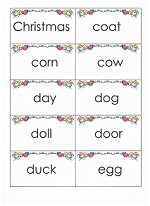 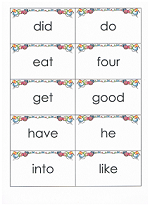 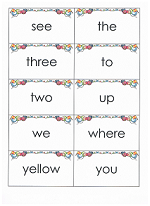 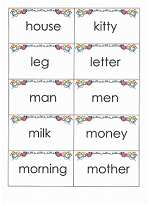 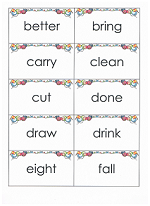 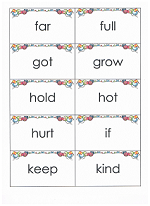 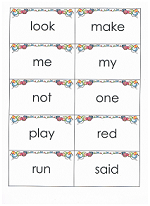 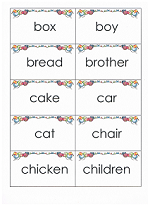 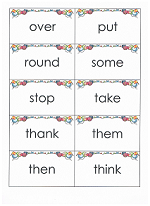 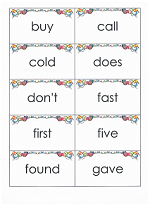 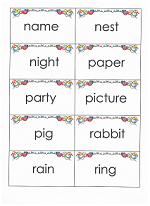 Sight words are the commonly used words that children are encouraged to memorize. 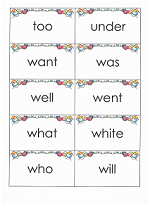 The ability to know these words on sight means they will not have to use any strategies, such as sounding out a word, to recognize them. 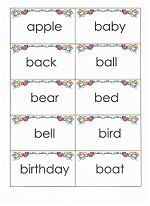 Many of the 220 Dolch sight words do not have the ability to be sounded out in the traditional way. 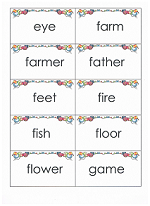 Many cannot be explained using any type of picture reference. 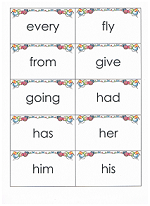 Examples are the words who and was. 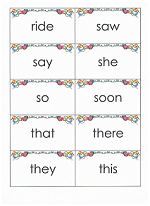 The ability to recognize these words on sight will give children an advantage in reading due to the fact that sight words account for as much as 75% of children’s beginning print materials. 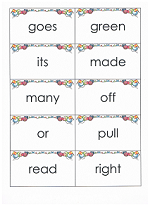 Not only will children read better, but they will be better able to comprehend the material as well. 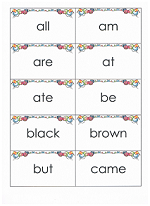 The Dolch sight words below are listed in alphabetical order per each level. 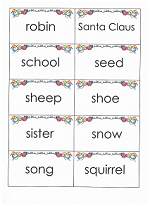 Each time the cards start again with an A word, the level has been increased. 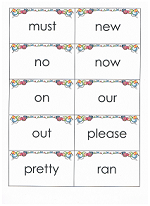 Scroll farther down for the 95 Dolch nouns. 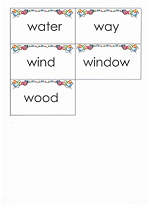 Combine the Dolch sight word flashcards with easy reader books that contain the same words. 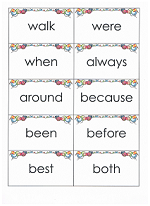 A great example? 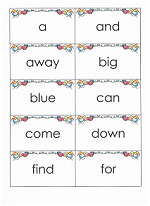 The Cat in the Hat by Dr. Suess. 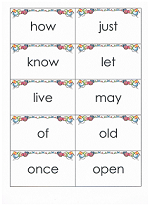 All Dolch words and fun to read as well. 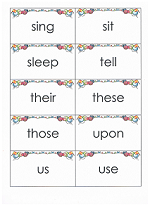 There are many other simple reader books. 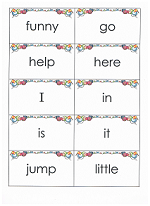 There are many times when a child who has learned a skill is proud of their accomplishment. 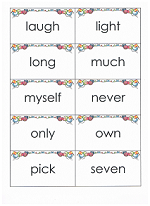 Reading a book for the first time "all by themselves" is a big one. 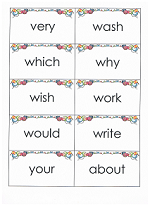 Dolch sight words make learning to read a little easier. 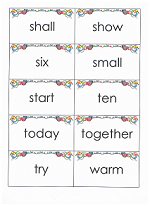 Start slowly and use the sight words one level at a time. 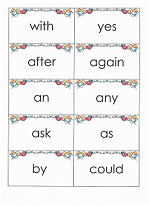 Continue with the same level until the words are easily read, and then move on to the next level.